Before installing the product, ensure that the assembly will support the weight load of the sloping material; the product weights approximately 2.5 pounds per square foot when applied at ¼” thick. The low sloped areas will need to be identified and a screed board will need to be set so as to determine the amount of sloping material needed to achieve a positive pitch towards drains or scuppers. Thoroughly inspect the areas to be coated to ensure that the contiguous areas will not limit your sloping ability. The existing roofing application must be thoroughly cleaned and free from contaminants. Pour the RoofSlope® compound into the middle of the low spot (the material should be mixed wet enough to allow materials to self-level). Using a screed board, pull the board across the low spot, leaving the excess compound in the low spot of the substrate, and taper the edges of the perimeter. Once the low spot has been filled in, immediately broadcast evenly approximately 20 lbs. 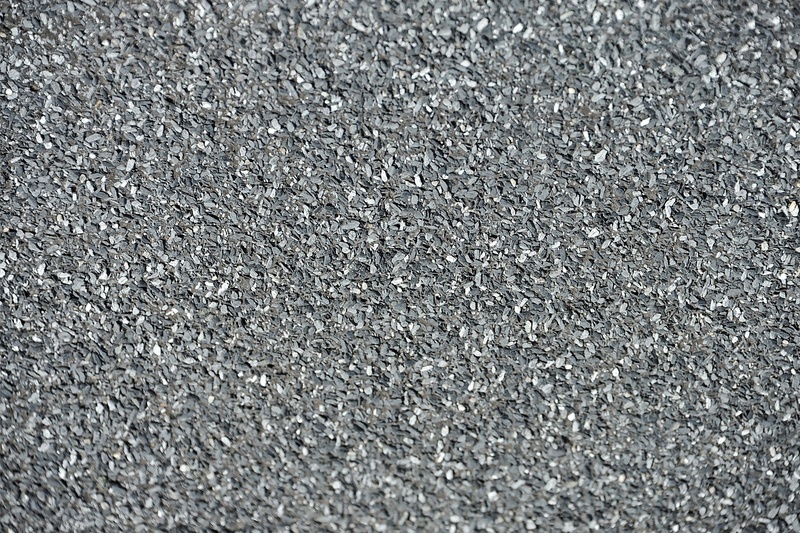 (per batch mix) of 16 grit silica sand or roofing granules into the wet/uncured slope mix until refusal. THIS APPLICATION IS IMERATIVE FOR PROPER CURE AND PERFORMANCE. For Instructions on Sloping between scuppers and drains or large areas, please refer to the System Data Sheet. Cure times will vary based on temperature and product thickness. Installations that are 3/4″ or less, applied in warm weather, should be fully cured within 24 hours.